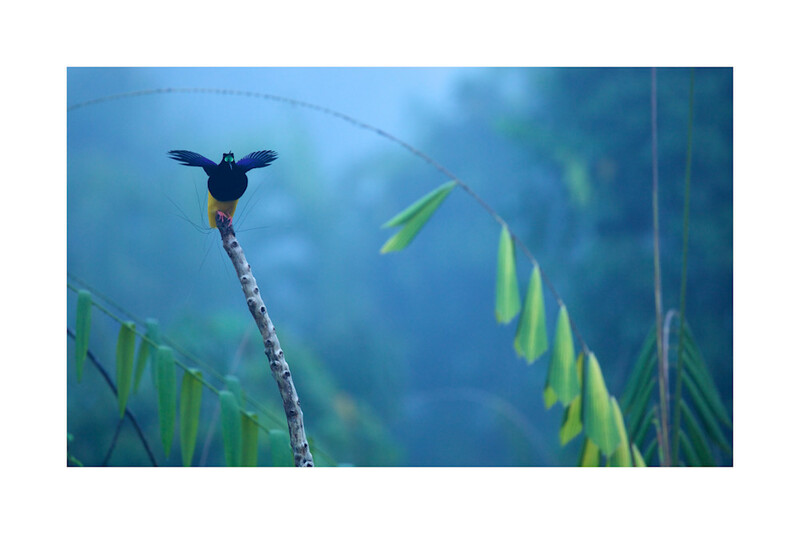 A male Twelve-wired Bird-of-Paradise spreads his wings and calls from his favorite display perch in Nimbokrang, Papua, Indonesia. As dawn breaks, a male Twelve-wired Bird-of-Paradise spreads his wings and calls from his favorite display perch in the swamp forest of Nimbokrang. Papua, Indonesia.